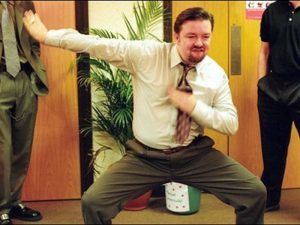 Do you need to be able to dance to sell a TV? There are many advantages to being self-employed. First, you no longer have to worry about the boss. Second: you no longer have to suffer the Recruitment “Assessment” Centre. A few weeks ago, I read about poor Alan Bacon, the media graduate who applied for a job at a well know electrical retailer. Alan had already applied for 300 jobs, so let us be sure he was serious about getting a job. Alan turned up at the interview in his best suit and with a personal presentation. My initial observation of Alan is a conscientious individual, who has taken the time to be well prepared, and ready to make the very best impression. But, it didn’t turn out the way Alan thought it would. Alan’s initiation into the modern corporate world was the dreaded corporate assessment centre. The applicants were split into two groups and ordered to do a “dance off”. Mr Bacon – a self-described-nerd and “terrible dancer” – found himself “doing rubbish robotics in a suit in front of strangers”. You are probably like me thinking what has this to do with selling cameras and TV’s. But over the last 20 years the idea that employees should be “fun” and “up-for-it”, whatever “it” might be has trickled deep into the pop psychology of work. A few years back I attended a similar recruitment centre to Alan. I had applied for a role as Head of Operations in a housing association. Like Alan, I presumed they would have deep-seated social values keen to hear about my experience and strategic views. No. We sat in a circle I picked a baby’s bowl out of a bag and tried to say something interesting. Now I did not see a qualified psychiatrist in the room who could identify if I had murderous tendencies or even if I would be good at the job. They determined whether what I said was “fun” and would therefore fit in with their “fun” culture. I didn’t get the job. Sour grapes? NO – just a lucky escape! Business is a serious issue and I find this recruitment process at complete odds with the work I do with managers who are looking for promotion. As a coach, I spend a lot of session time helping people put over a more serious, credible approach accepted in the boardroom with an appreciation of the bigger picture. Therefore, this “pop” psychology can be really dangerous stuff. By recruiting for “fun” attitude are we really considering the future leaders of our organisations. Think about this point if you take the fun thing to its extreme you are excluding 50% of all applicants because they have an introvert manner. I mean here the thoughtful, reserved, calm, detailed people who keep your business on track. Members of your Senior Leadership team may come to mind. Will they dance for a job? Basic work ethics are important when recruiting people, however do not be scared to recruit people who have a different approach or behaviour. Relationships at work are crucial but everyone brings something different to the business. The high performing teams are the ones that understand the differences between the members and value each other’s differences. If the people in the team then know how to adapt to different behaviour’s it will reduce stress and conflict. For me work is work and I want it to be enjoyable. When it comes to fun, I will leave that for outside work when I can let my hair down in the fun way that I want. Not fun dictated by someone else.